Chevron Products Company, maker of the Delo brand of technologically advanced heavy duty engine oils, lubricants and coolants, has unveiled a new category of heavy duty motor oil designed to address the growth of severe duty applications in on- and off-highway markets. Delo 400 SD SAE 15W-30 is an API CJ-4 heavy duty diesel engine oil formulated using a new Chevron patent pending technology to provide key benefits for engines with “severe duty” cycles in on- and off-highway applications. The increase in severe duty cycles include abrupt changes in truck operating conditions, such as trucks that are prohibited from idling and must have their engines turned off, trucks subject to stop-and-go in heavy traffic or city delivery, or situations where engine cooling may be stressed like towing heavy loads on steep grades or cycling between fully loaded and unloaded in off-road applications, including agriculture and construction. Drivers often report seeing higher operating temperatures in these conditions. Delo 400 SD SAE 15W-30 is specifically formulated for on- and off-highway applications including 2010 and Tier 4 compliant low emission diesel engines with Selective Catalytic Reduction (SCR), Diesel Particulate Filter (DPF) and Exhaust Gas Recirculation (EGR). 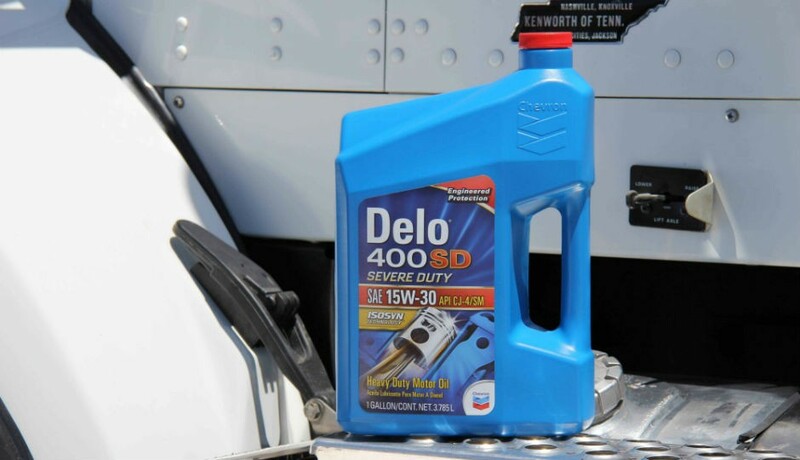 Delo 400 SD SAE 15W-30 will meet a range of OEM requirements for engine oil, including Kenworth MX, Peterbilt MX, Cummins, Mack and Volvo. Additionally, it is recommended for use in select engines from Caterpillar, Daimler, Detroit Diesel and MAN. For users with a wide mix of engine brands, Delo 400 SD SAE 15W-30 is backwards compatible with previous API Oil Service Categories, and engine models where XW-30 oils are appropriate as noted by the OEM. Users can simplify their inventory and dispensing systems, and can save money, space and handling time. Delo 400 SD SAE 15W-30 is offered with Chevron’s Warranty Plus protection, which provides bumper-to-bumper warranty protection from the engine to the drive train. Users will also have access to problem resolution and technical advice from Chevron’s lubrication and industry experts.